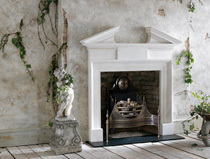 Chesney's collection of hand carved marble and stone fireplaces is internationally recognised as the most comprehensive to be found anywhere. The range incorporates both historic and contemporary designs. 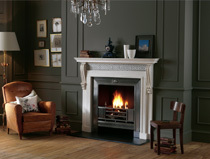 Renaissance, Elizabethan, Baroque, Palladian and Neo-classical styles are all represented with extensive collections of British Georgian, Regency, Victorian and Edwardian fireplaces appearing within the range. The Chesney's Contemporary collection combines simple modern design with clear architectural form in a series of designs that ensure that the fireplace remains the focus of the room. 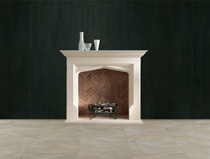 Visit our Chesneys Alhambra Fireplace page. Visit our Chesneys Dakota Fireplace page. 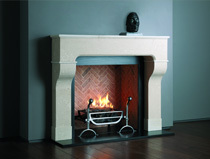 Visit our Chesneys Burlington Fireplace page. 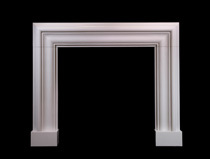 Visit our Chesneys Clandon Bolection Frame Fireplace page. 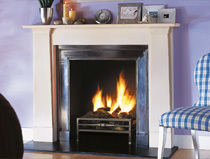 Visit our Chesneys Doric Fireplace page. Chesney's have a long history of collaboration with leading designers from the fields of fashion, furniture and interior design. These collections have formed an important addition to the rich tradition of domestic fireplace design. 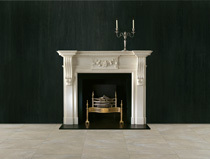 Visit our Chesneys Belvedere Fireplace page. 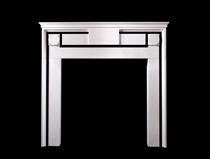 Visit our Chesneys Hulanicki Art Deco Fireplace page. 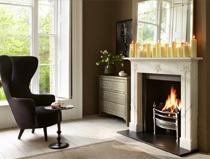 Visit our Chesneys Ebury Fireplace page. 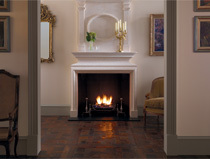 Visit our Chesneys Avignon Fireplace page. 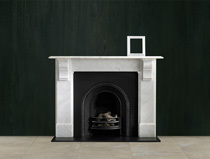 Visit our Chesneys Carlton Fireplace page. Visit our Chesneys Hulanicki Art Nouveau Fireplace page. Visit our Chesneys Hulanicki Faulkner Fireplace page. 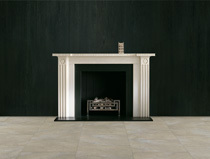 Visit our Chesneys Lincoln Fireplace page. 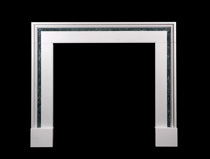 Visit our Chesneys Coral Fireplace page. 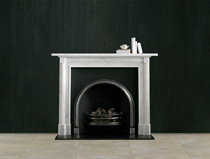 Visit our Chesneys Meridian Fireplace page. 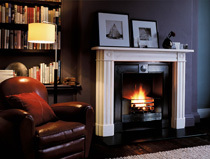 Visit our Chesneys Chiswick Tudor Fireplace page. 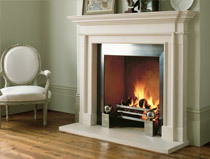 Visit our Chesneys Ladbroke Fireplace page. 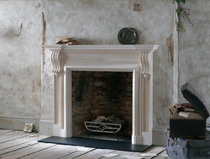 Visit our Chesneys Edwardian Corbel Fireplace page. 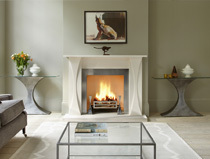 Visit our Chesneys Buckingham Fireplace page. 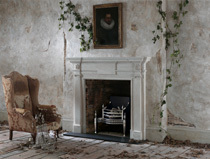 Visit our Chesneys Elizabethan Fireplace page. 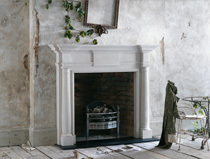 Visit our Chesneys Colebroke Fireplace page. 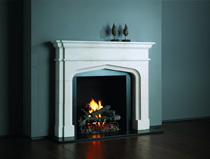 Visit our Chesneys Holland Fireplace page. 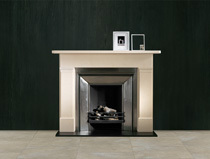 Visit our Chesneys Albert Fireplace page. 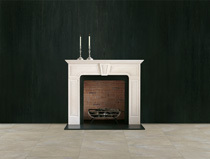 Visit our Chesneys Shelburne Fireplace page. 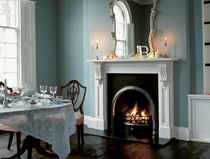 Visit our Chesneys Classic Victorian Fireplace page. 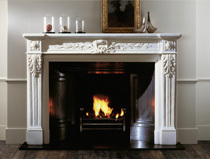 Visit our Chesneys Victorian Corbel Fireplace page. It is the pleasing combination of scale and simplicity that makes the Regency fireplace an ideal choice for modern and period rooms, with its restrained ornamentation and simple construction. 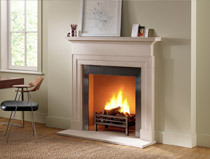 Visit our Chesneys Langley Fireplace page. 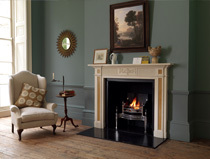 Visit our Chesneys Reeded Regency Bullseye Fireplace page. 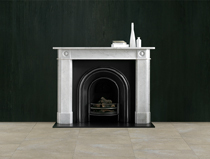 Visit our Chesneys Thomas Hope Fireplace page. 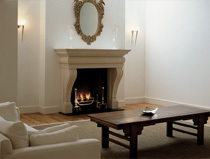 Visit our Chesneys Edinburgh Fireplace page. 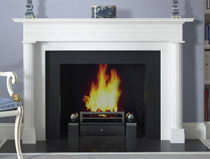 Visit our Chesneys Hartwell Fireplace page. 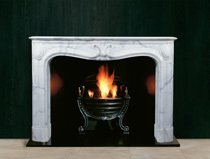 Visit our Chesneys Regency Bullseye Fireplace page. 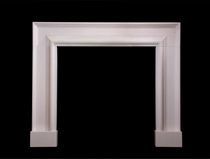 Visit our Chesneys Acanthus Fireplace page. 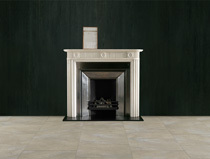 Visit our Chesneys Albemarle Fireplace page. 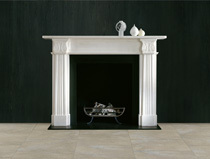 Visit our Chesneys Albany Fireplace page. 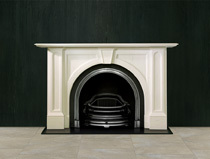 Visit our Chesneys Fairfax Fireplace page. 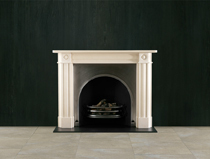 Visit our Chesneys Marble Regency Bullseye Fireplace page. 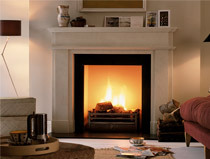 Visit our Chesneys Nash Fireplace page. 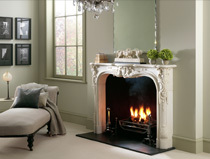 Visit our Chesneys Wessex Bolection Fireplace page. 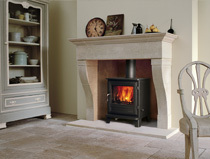 Visit our Chesneys Northumberland Fireplace page. 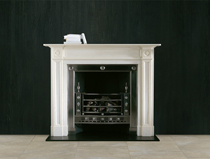 Visit our Chesneys Clandon Bolection Fireplace page. 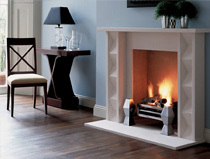 Visit our Chesneys Harwood Fireplace page. 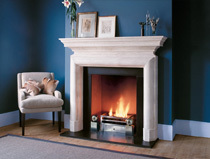 Visit our Chesneys Stirling Fireplace page. 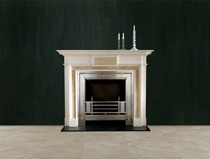 Visit our Chesneys Blenheim Fireplace page. 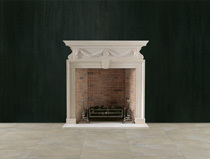 Visit our Chesneys Palladian Fireplace page. 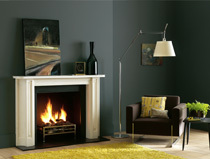 Visit our Chesneys Kent Bolection Fireplace page. 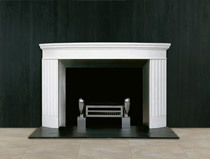 Visit our Chesneys Athenian Fireplace page. 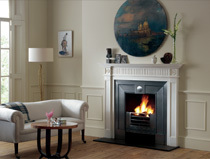 Visit our Chesneys Fitzroy Fireplace page. 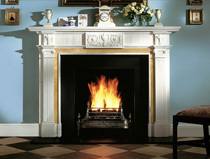 Visit our Chesneys Chillington Fireplace page. 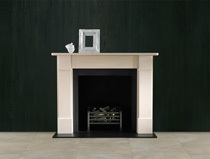 Visit our Chesneys Brettingham Fireplace page. 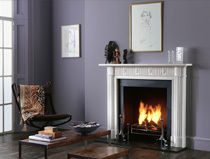 Visit our Chesneys Leverton Fireplace page. These chimneypieces by Sir Edwin Lutyens have been carefully chosen to show his unique ability to translate the traditional architectural vocabulary into new forms that successfully combine classicism and modernity. 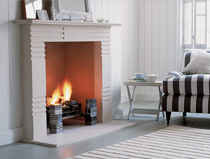 Visit our Chesneys Lutyerns Pattern 1 Fireplace page. 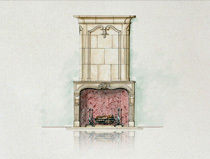 Visit our Chesneys Lutyerns Pattern 4 Fireplace page. 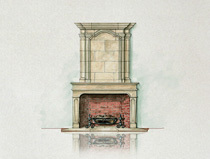 Visit our Chesneys Lutyerns Pattern 2 Fireplace page. 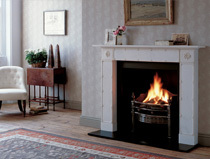 Visit our Chesneys Lutyerns Pattern 5 Fireplace page. 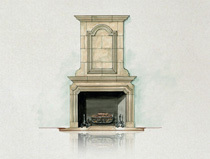 Visit our Chesneys Lutyerns Pattern 3 Fireplace page. A collection of exact replicas of designs for chimneypieces selected from the archives of the world famous Sir John Soane's Museum and reproduced by Chesneys under exclusive licence from the museum. 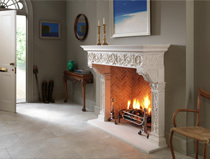 Visit our Chesneys Soane Pattern 1 Fireplace page. 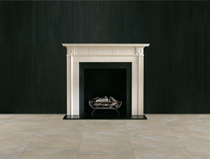 Visit our Chesneys Soane Pattern 4 Fireplace page. 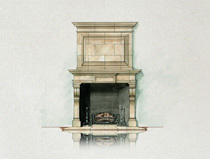 Visit our Chesneys Soane Pattern 2 Fireplace page. 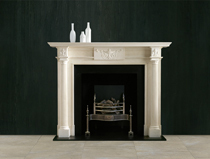 Visit our Chesneys Soane Pattern 5 Fireplace page. 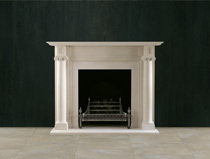 Visit our Chesneys Soane Pattern 3 Fireplace page. 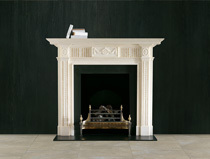 Visit our Chesneys Soane Pattern 6 Fireplace page. The term "architectural" is used to describe a fireplace which is well proportioned and which has clearly defined strong lines. 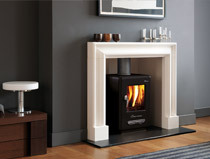 Visit our Chesneys Durham Fireplace page. 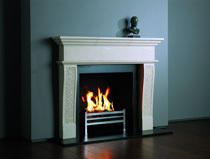 Visit our Chesneys Flitcroft Fireplace page. 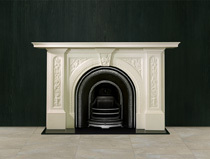 Visit our Chesneys Chambers Fireplace page. 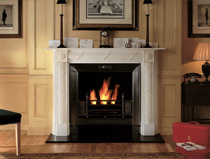 Visit our Chesneys Vanbrugh Fireplace page. 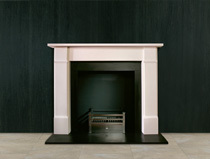 Visit our Chesneys Flaxman Fireplace page. The French fireplace is characterised by its proportions – lower and deeper than those of an English fireplace, and by its decoration – particularly when displaying the exuberant Rococo style. 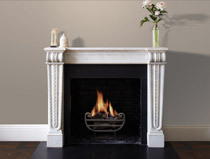 Visit our Chesneys Provencale Fireplace page. 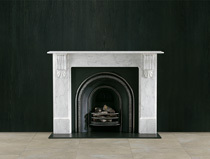 Visit our Chesneys Fontainbleau Fireplace page. Visit our Chesneys Navarre Fireplace page. 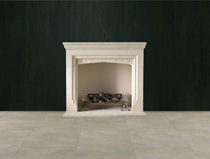 Visit our Chesneys Fiorenza Fireplace page. 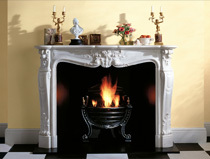 Visit our Chesneys Pompadour Fireplace page. 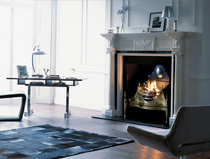 Visit our Chesneys Regence Fireplace page. 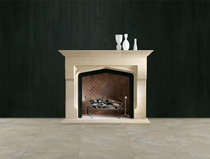 Visit our Chesneys Marseilles Fireplace page. 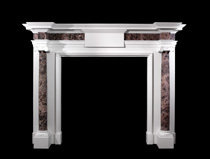 Visit our Chesneys Versailles Fireplace page. 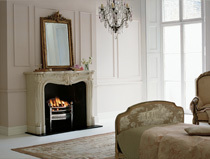 Visit our Chesneys La-Rochelle Fireplace page. 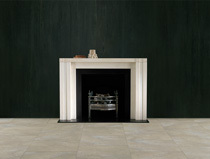 Visit our Chesneys Vicenza Fireplace page. The Heritage Collection displays the twin qualities of outstanding craftsmanship and integrity of design that are the hallmark of every Chesney's fireplace. 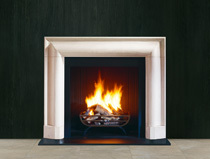 Visit our Chesneys Belfort Fireplace page. 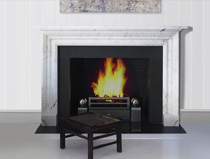 Visit our Chesneys Greenwich Fireplace page. 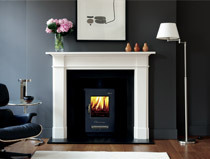 Visit our Chesneys Camden Fireplace page. 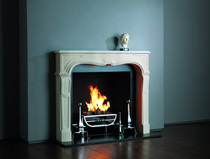 Visit our Chesneys Sorbonne Fireplace page. 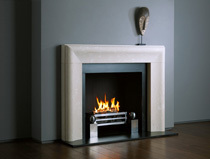 Visit our Chesneys Chelsea Fireplace page. 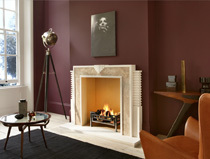 Visit our Chesneys Westminster Fireplace page. 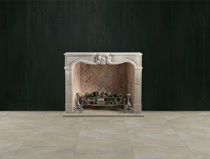 An "en trumeau" French fireplace will enhance the architecture of any large room. The term en trumeau describes a decorative panel, mirror or the continued section of a fireplace sitting above the mantel shelf. 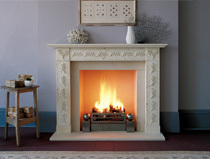 Visit our Chesneys Blois Fireplace page. 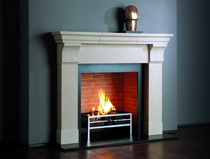 Visit our Chesneys Montrichard Fireplace page. 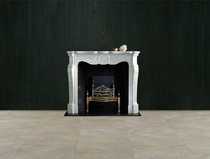 Visit our Chesneys Angers Fireplace page. 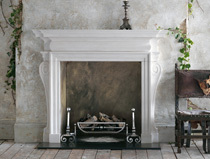 Visit our Chesneys Limoges Fireplace page. 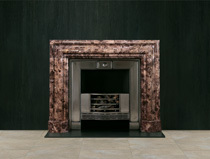 Visit our Chesneys Venezia Fireplace page.